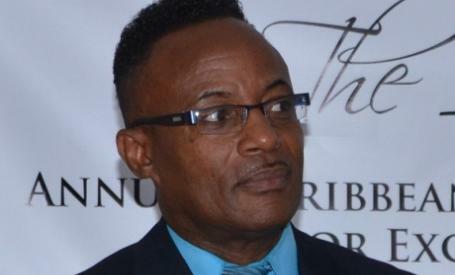 Dr Horace Phillips was found dead on Tuesday at his new home in Marlie Mount, Old Harbour, Jamaica. According to the authorities Phillips’ body was found with knife wounds and was partially burnt. Horace went missing on Sunday after attending his local church in the morning and a funeral later that day. Friends and family raised concerns that said evening. Horace worked for the Jamaica Tourist Board/Experience Jamaica promoting local tourism. He lived for a long time in England but returned home after a successful period across the British media landscape. Horace’s death is a blow to Old Harbour as he was an active member of this growing community. He was always playing some part in its planning, regeneration and development. Horace died aged 59. A very young 59 with an energy, passion and enthusiasm that would put many 20 year olds to shame. Horace attended Old Harbour Primary and St Jago High schools during the 1950s/1960s with 3 of my older siblings. He was affectionately called Junior. They were all neighbours in Burke Road. Many who knew Junior had the same view of him from his schools days onwards – him nuff i.e. determined. He was upfront. Front of the class front of any platform. Horace sang at my mum’s funeral in 2010 and at my aunt’s one the following year. Hardly a funeral goes by in the community that Horace is not providing a barnstorming soloist performance – wherever the venue or Christian denomination [Horace was an Anglican]. He always got emotionally expressive in the delivery of his recitals. Junior sang at the funeral he attended on Sunday at Old Harbour Bay. The same day he went missing. Horace went into local politics and represented the People’s National Party (PNP) at the last local government elections in 2012. Horace lost out to the JLP candidate who has since switched to the PNP. The election defeat did not hinder Junior’s drive to do more in the community. He was on a national TV current affairs programme last year pushing for a new and improved local public health centre- which is 30 years overdue. Horace successfully campaigned for better roads in the local market. Despite his defeat at the polls Horace was still active in local politics. Whenever political events were held at the local college near my home you could hear Junior’s unmistakable voice – that upstaged the other more high profile speakers on the platform. The last time most of us saw Horace was on the tv show “Smile Jamaica” a few weeks ago where he was promoting an event at the unique Milk River baths. Horace had a regular spot on ” Smile Jamaica” encouraging Jamaicans to tour their own island more often. Old Harbour and the wider Jamaica continues to have a major problem with the murder rate. Over 1200 murders in 2013 out of population of 2.7 million. It just makes you shake your head when you see a man enthused to uplift his community and country ends up dead in this callous and wicked manner. This entry was posted in jamaica, jamaican, old harbour. Bookmark the permalink.